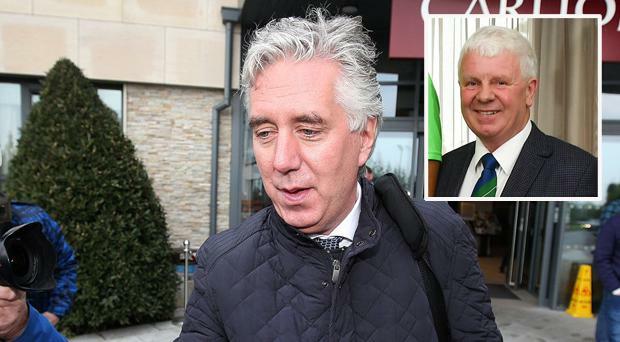 KERRY League chairman John O'Regan, a long-time supporter of John Delaney, says the former CEO of the FAI has to leave the organisation "for his own sake". The FAI's finances and governance policies will come under the spotlight again today when Sport Ireland and Minister for Sport Shane Ross appear before an Oireachtas committee on sport. The association's statement on Wednesday night which stated that former CEO "has offered to voluntarily step aside from carrying out his role as Executive Vice-President with immediate effect pending the completion of an independent investigation by the Association into issues of concern to the Board" has been widely criticised, by politicians and figures within the football community. Former Ireland manager Brian Kerr called for the board to quit en masse. "It once again proves that this board has to be changed. The people who are involved in football will not accept this board making decisions for football in Ireland in the future, they cannot be allowed to select a CEO and continue with that process. They need to be gone and a new temporary board in place with some sort of a CEO, given time to consider where they are at," Kerr told Newstalk last night. And FAI senior council member O'Regan, who had come out in support of Delaney, today admitted that an exit from the FAI is inevitable. "For his own sake, for his peace of mind," O'Regan told Sean O'Rourke on RTE radio when asked why Delaney should leave. "This takes me back to the Bertie Ahern saga. He is being hounded day and night, they are digging for stuff. Yesterday it was revealed that he had overspent on his credit card. "I am very strong on credit cards myself, it was a perk with the job, any CEO in any company throughout the world will have a company credit card, and an arrangement for vouched expenses. "Credit cards are the ruination of a lot of people, I am sure there is none of us that haven't, at some time, over-spent on our credit card and we paid it back. John overspent on his credit card and to the best of my knowledge he paid it back. "Very few people have come out and pointed out the marvelous work that John Delaney had done since he became CEO. Prior to that he was honorary treasurer of the association, I knew him back then and knew his father, Joe, when he was FAI treasurer," added O'Regan.